Few typeface designers can take pride in almost singularly embodying the typography of an entire country; Jean François Porchez is among those. Thoroughly French, he has succeeded in building bridges with the British-American type world. 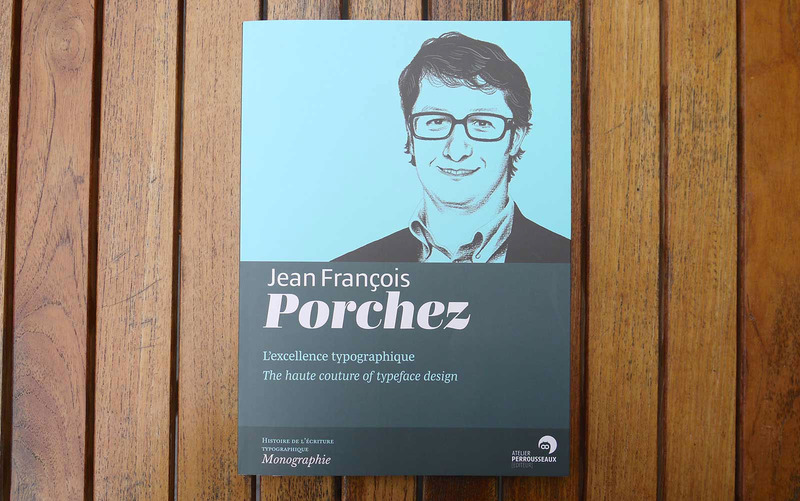 When not involved abroad he works on bespoke typographic projects via his ZeCraft studio and manages Typofonderie’s typeface releases. Innately enthusiastic, he is ever willing to discuss and share insights on his art form with his clients, designer colleagues and students, from Los Angeles to Helsinki, New York to Bangkok. 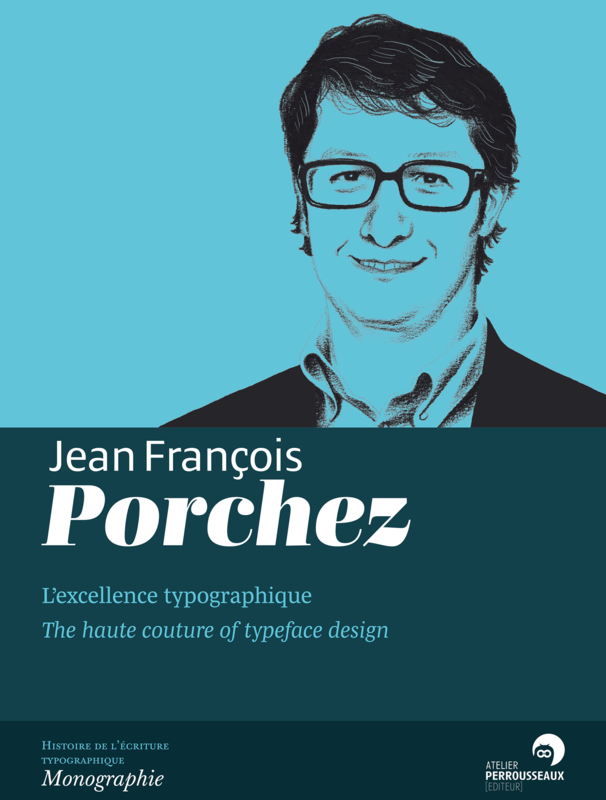 Imbued with the story and spirit of the client, the logos and typefaces created by Jean François Porchez have appeared and continue to appear in publications such as Le Monde, The Baltimore Sun and Wired, in the halls of the Paris Metro and BHV, Louis Vuitton leather goods, in the correspondence of Yves Saint Laurent Beauté, Boston Consulting Group, Peugeot, La Banque Postale, etc. This admirer of the letter, this born educator deserved a work recreating his journey and freely spreading the secrets of his art form that aims for excellence. With contributions by Karen Cheng, Aaron Levin, Muriel Paris and Sumner Stone. Set in Ardoise (English) and Mencken Text (French), Mencken Head.